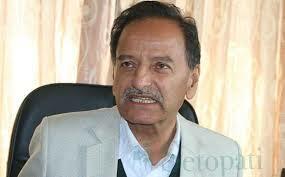 Former General Secretary of Nepal Congress Krishna Prasad Sitaula has said he had not liked the alliance the party forged with Rastriya Prajatantra Party (RPP). “As the repeated complaint against the alliance with RPP was unheard, I finally filed my candidacy from constituency no 3 of Jhapa district,” shared leader Sitaula. Whether it is democratic or leftist alliance, people never forgot the people’s movement of 2006, he said, claiming that the agitation that begun from Jhapa finally abolished the monarchy. According to him, as the people have not accepted monarchy, my candidacy would focus on the implementation of democracy and republic. “Wherever I’m – in government or in party- I bring multi-year projects of Rs 3.50 billion for the development in the district,” he made commitment before the voters. He further said the development would be his major focus after the election.